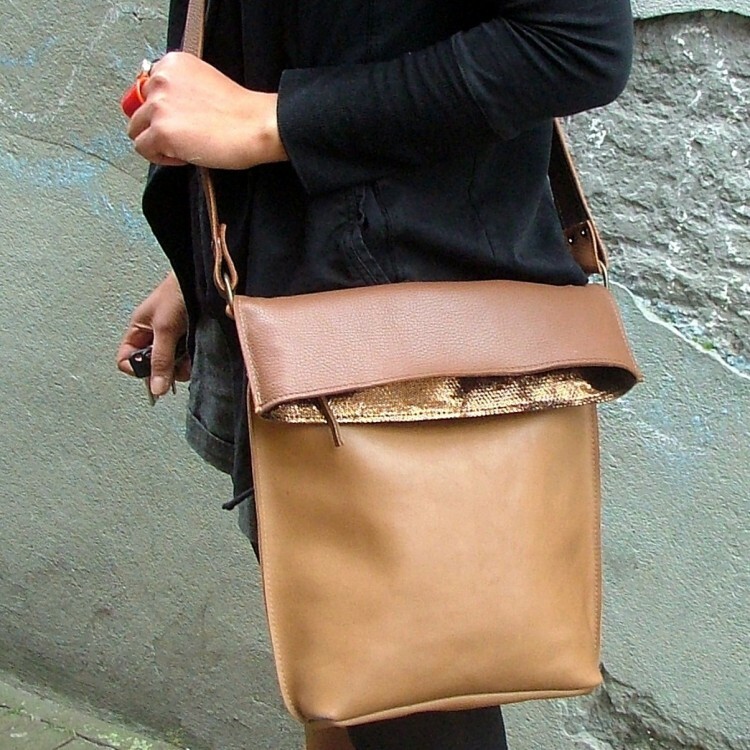 A simple two tones brown leather shoulder bag, combined with metallic brown leather. Lining with flowery pastel coloured linnen. Inner pocket with zipper and mobile pocket.